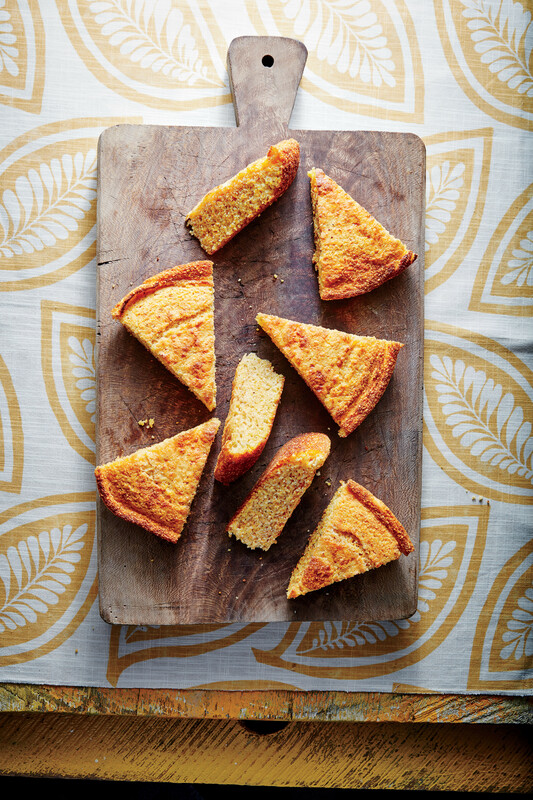 Travel editor Valerie Luesse shares her Aunt Grace’s Best Cornbread Dressing recipe—which Luesse calls “silky smooth and ultra-moist.” The best way to make this dressing is in advance. Here’s how Aunt Grace does it. Two days ahead: Prepare breads and chop veggies. One day ahead: Mix all ingredients except eggs and refrigerate. Thanksgiving Day: Bring dressing mixture to room temperature, add eggs, and bake. Think there are too many bread varieties in this dressing recipe? You'll be thanking us when you take a bite. If you like a smoother texture in your dressing, Aunt Grace uses the edge of a wooden spoon to break up the breads in step one. Prepare cornbread and biscuits according to package directions. Let cool, and crumble into a large bowl. Tear toasted bread slices and hamburger buns into small pieces, and add to cornbread-biscuit mixture. Combine with hands to break breads into small pieces. Melt butter in a large saucepan over medium-high. Add onions and celery to pan, and cook, stirring occasionally, until softened and onions are translucent, about 10 minutes. Stir in chicken broth, cream of chicken soup, cream of celery soup, poultry seasoning, and sage. Bring broth-soup mixture to a boil, and pour over breads, stirring to combine. Let cool 20 minutes, stirring occasionally. Add eggs, stirring well to combine. Divide mixture evenly between 2 (9- x 13-inch) baking dishes. Cover and refrigerate overnight. Preheat oven to 350°F. Uncover baking dishes, bring to room temperature, and bake in preheated oven until top is browned and middle is set, about 1 hour.